Kobelco Construction Machinery America, a manufacturer of compact, mid-size and full-size excavators, announced that it is investing approximately $10.5 million in its Calhoun, Georgia operations. Five million dollars has been appropriated for production expansion into a new 52,000 square foot building while an additional $1.5 million will be used to develop a new training center. A $4 million upgrade in production machinery is also just being completed at the existing Calhoun location. The investments will allow the company to consolidate training operations, expand production capacity by approximately 15 percent and increase exports to about a third of its total production. The new training center will provide a facility for sales and service training for dealers and company personnel and will employ a full-time technical support staff. 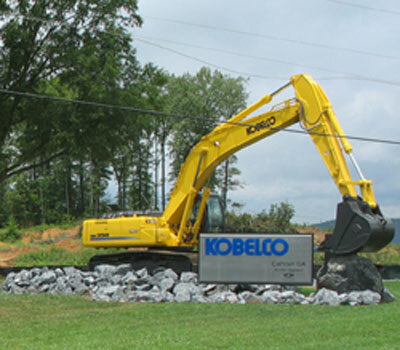 The Calhoun facility has been manufacturing Kobelco machines since 1990 and has produced over 22,000 excavators. The plant also manufactures excavators and dozers for the New Holland Construction brand.